Travel theme: Simplicity | Where's my backpack? Busy photographs can be an awful lot of fun to look at, and even more fun to take, but sometimes less is more. I’m still thinking of the clean lines of the reflecting pool I just wrote about at the Bloedel Reserve, so I’ve been looking through my images for some shots that speak to me of simplicity. 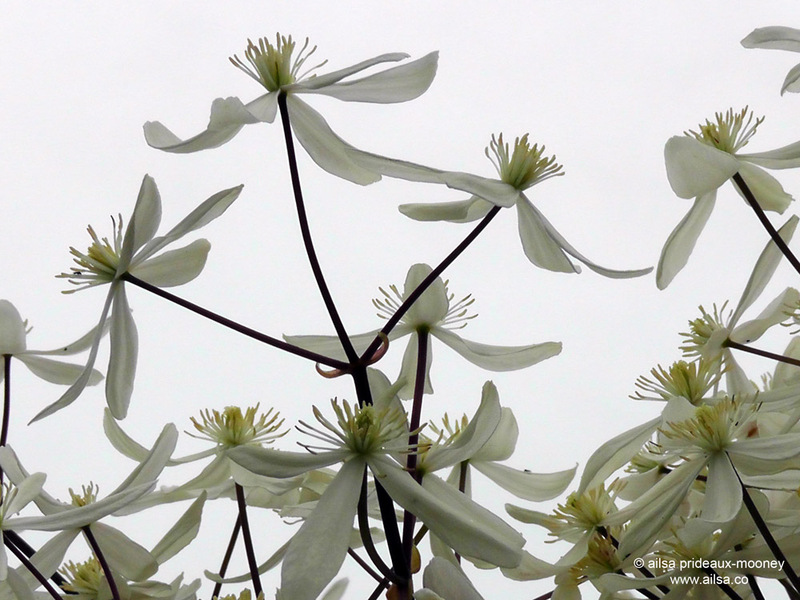 Walking through the Seattle neighbourhood of Ballard, my eye was caught by a drift of clematis scrambling over a wooden fence. Against the overcast skies it struck me as an interestingly simple colour study. I love sudden weather outbursts when I have my camera to hand; there’s usually something wonderfully unexpected to photograph. This shot was taken after a massive hailstorm in Seattle earlier this year. 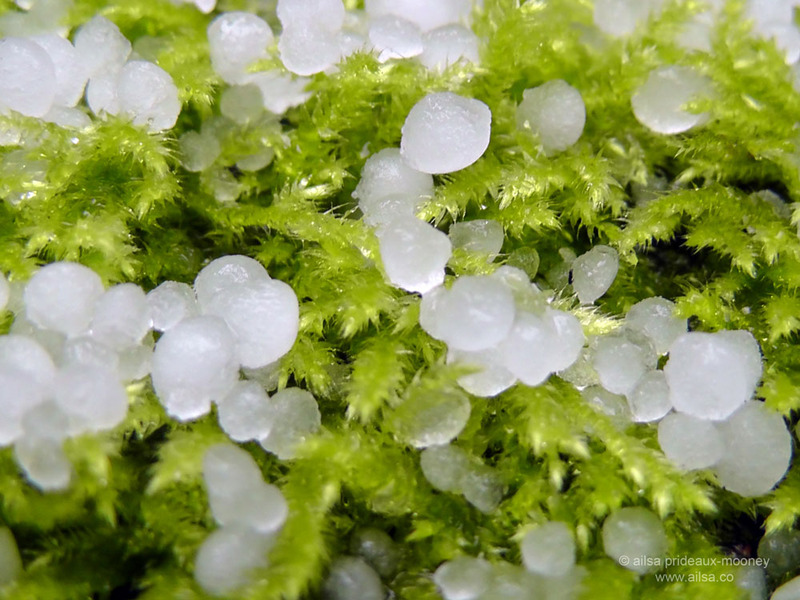 I like the simplicity of the two contrasting elements; soft green moss and huge white hailstones. I also liked the fact that the moss was located close to a doorway I could duck into after I took the shot because those hailstones hurt! When there’s a whirl of colour and activity going on all around you, sometimes it can be more interesting to focus on just one element of the big picture. This is one of my favourite photos of the Holi Festival of Colour I attended in Maple Valley earlier this year. I was watching a group of teenagers helping each other to get ready, sharing bags of coloured powder. At one point I noticed all their hands were upturned in a circle and took this shot. While other shots I took captured other aspects of the festival, this shot for me revealed something beautiful about the essence of community at the event. Don’t forget to subscribe to keep up to date on the latest weekly travel themes. Sign up via the email subscription link in the sidebar or RSS – I’m in the process of changing over to a new website host but will give you all a heads up when the changeover happens. If you’re following via email there won’t be a change but if you’re following via WordPress you will need to sign up for email or RSS. This entry was posted in Photography, Travel, Weekly Travel Themes and tagged art, inspiration, photography, photos, pictures, postaday, travel, writing. Bookmark the permalink. Seattle’s experiencing the very same phenomenon, AJ. 2 straight weeks without rain. The locals are running scared. What is this strange round yellow object in the sky you speak of? Hi, Ailsa. This was taken at the San Diego Safari Park in Escondido, California. Love your blog. Those white flowers are fabulous in their simplicity! Lovely, Ese, the pier is my favourite, it speaks of adventures ready to happen. That mushroom looks huge! Why on earth is my ‘reply’ not appearing? This is was too hard for a mannequin! Hmm, for some reason your comments this week ended up in the spam folder, Mrs C – I just manually unspammed them, no idea why WordPress would filter your comments, unfair to mannequins! A dummy revolution! Hey, that would make an interesting b-movie. Super theme – only wish my ‘reply’ would appear. I like the hands picture and the quotes at the end. Beautiful pics and great theme. Love the quotes too. I love that festival shot. Gorgeous! what a terrific theme Ailsa…i really love the shot of the hands. Great theme! Sometimes in nature the simplest things can highlight their pure beauty better than anything else! Lovely challenge….And I love the Leonardo´s quote! Pingback: Simplicity – Ailsa’s WTT | Ouch!! My back hurts!! Super post. Love the hands. Simply lovely ;-).